As a user of Salesforce for seven years, I’ve grown accustomed to Salesforce Classic, but have embraced Lightning Experience as much as possible, working to be an advocate for the new user experience and overall platform. While there are so many positives and exponential potential with the platform, as an end user and Administrator, I’ve run into many frustrations while using Lightning Experience. The majority of these frustrations have to do with the overall user experience which can make Lightning Experience unproductive. Here are my ten most frustrating user experience issues in Lightning Experience. 1. Lack of Text Wrapping – FIXED! UPDATE: The Winter ’18 release brought the ability to do text wraps on search results, related lists, and list views. While I’m calling this one fixed, it would be nice if the columns were wrapped by default. One reason that Salesforce Classic is so productive is that related lists allowed for text wrapping of fields. With up to 10 fields per related list, field truncation would have been easy, but Salesforce Classic wrapped text based on the size of the browser window so that the full text, of say, the name field, is visible. This, of course, makes selecting a record very straight forward. But look at how Lightning Experience handles the very same related list. There is no text wrapping at all. As more fields are added to the related list, the amount of text shown in the record name field column decreases. As you can see from the hover card, there is no additional insight into the project name because it’s not wrapped. Clicking View All doesn’t always solve this problem either. In my experience, I resort to either creating a list view or report or clicking to open each record to find the one that I want. Vote for text wrapping in related lists on the IdeaExchange: Wrap Text on Related Lists in Lightning Experience. 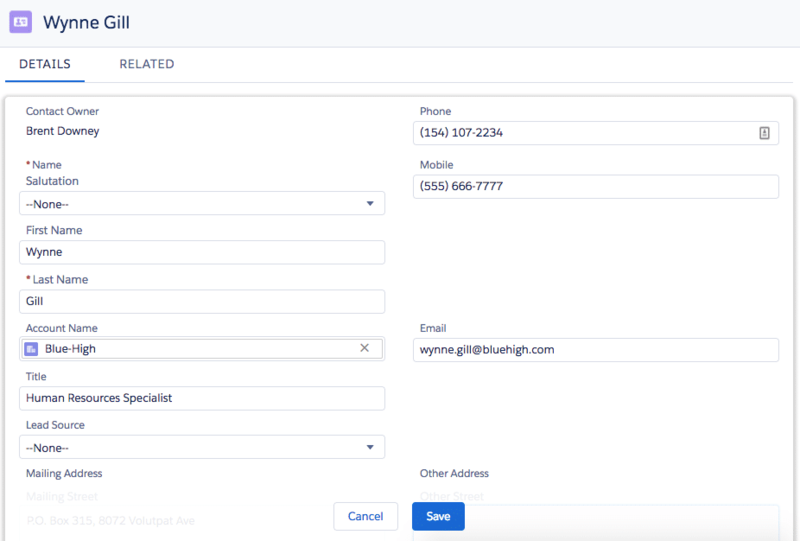 As all Salesforce Admins who use Salesforce Classic know, a configuration change can be made on the fly, and the changes are applied in real time. This isn’t always so in Lightning Experience. In most cases, I’ve had to refresh a page multiple times to see the config updates. With Spring ’17, I’ve noticed that edits to Lightning Record Pages can take several minutes before seeing the changes reflected on the actual record. For example, I updated the Projects related list hover details before taking the screenshot above, but it took nearly 10 minutes and many refreshes of the Account record to see the changes reflected. Here’s what the Project related list’s hover card looks like now. 3. Save Report Instead of Run Report – FIXED! 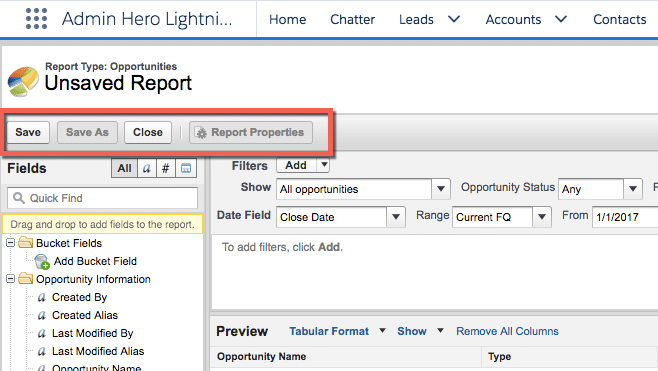 UPDATE: The Winter ’18 release brought an all-new Lightning Report Builder in beta and it brings back the Run report option so you no longer need to save the report before running it! Salesforce Admins live in reports. The majority of the time, the reports we generate are never saved; they are a one-time use for a specific purpose at that very moment, never to be used again. In my use of reports, I use them to perform audits or get a total record count for an object, et cetera. Lightning Experience doesn’t let users create these throwaway reports without saving them first. So now, as an Admin (or even end user), I need to remember to go back and delete the report. A simple workaround is to create a “Trash” folder which the report could be saved to, but this seems like an extra and unnecessary step. Vote on this idea to bring back the Run button! Lightning Experience: Run Report Without Saving. I use tabs like crazy in my Salesforce orgs. At any given moment, Chrome has at least 5 Salesforce windows open for the org I’m working in. Salesforce Classic allows me to open links in a new tab, and when I navigate to that tab, the record page has already loaded. Super! But in Lightning Experience, while it’s getting better, records don’t open in the background that quickly, if at all! Usually, it takes several seconds for the record to load once I’ve clicked on the tab resulting in precious time wasted. If the overall speed of Lightning Experience is frustrating, vote for this idea on the IdeaExchange: Lightning Experience LEX – lightning speed please! When working in Salesforce Setup, not all of the Setup menus have been updated to Lightning Experience. The Salesforce Classic UI doesn’t operate the same in Lightning Experience as it does in Classic. Here’s an example. Let’s say that I am using Lightning Experience and I want to update a couple of profiles. In Salesforce Classic, I would navigate to Profiles, then open each of the profiles I want to edit in a new Chrome tab. But, in Lightning Experience, if I try to do the same thing, the tab opens but displays nothing. So I either need to duplicate the Profiles tab for each profile to be edited and click into the profiles from the new tabs, or click into each profile in a single tab, make the updates, then navigate back to the profiles list. It’s not always immediately noticeable, but some strange reporting chart oddities can be found in Lightning Experience which, once noticed, prove to be quite an annoyance. Here is an example provided by Jorrit Droogsma in his IdeaExchange post on the topic. 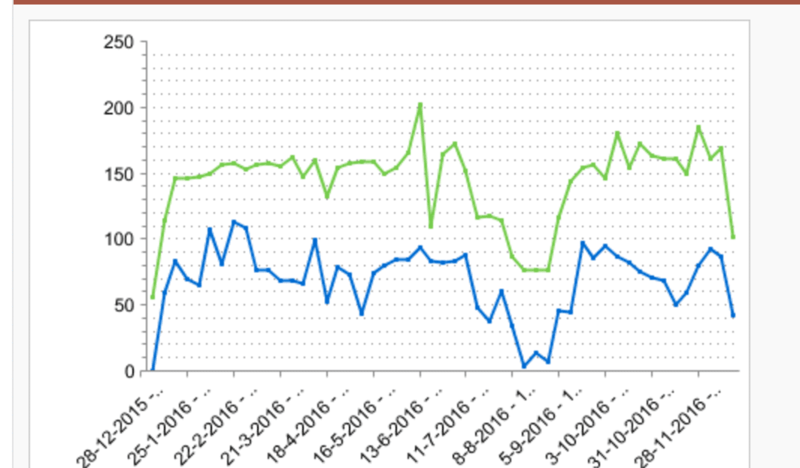 These charts are identical with the first being from Lightning Experience and the second from Salesforce Classic. Notice how the axis is scaled differently in Lightning Experience? It has an impact on how the chart is leveraged. Here’s another example from my friend Matt Bertuzzie; it’s the same chart with the left side showing the chart in Lightning Experience and the right side showing the chart in Salesforce Classic. He says, “I know a donut chart sums to 100%. How is this useful at all!” Agreed Matt, agreed. 7. White Space Galore – FIXED! UPDATE: The Winter ’19 release introduced Display Density settings! 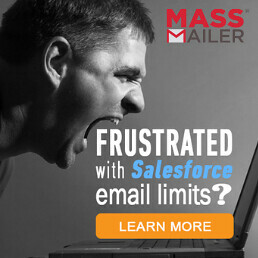 Similar to Gmail, you can choose a more dense or less dense view of Salesforce! These settings can be controlled by the user, but a default density setting can be determined by the Admin for the entire org as a starting point! LOVE, LOVE, LOVE this enhancement! I’m a fan of white space in design, but there are areas of Lightning Experience where there’s just too much of it and in strange places. For example, here’s a contact record in Salesforce Classic. And now the same contact in Lightning Experience. Notice those huge gaps before and after the email field? Salesforce appears to be maintaining the data structure of the page (Email appears to the right of the Account Name field when viewing the record) but, because of the three fields that make up the Contact’s name, there is a lot more white space with no easy solution to alter this. Here’s an idea to vote up: Too much white space in Lightning UI. 8. Limited Color Contrast – FIXED! UPDATE: In the last few releases, Salesforce has increased the color contrast, and with the Spring ’18 release, allowed for org branding which further enhances the contrast of the page. One thing that I think Lightning Experience has is a good overall design. It’s clean and feels modern. But, I almost fee like there isn’t enough color contrast. After using Lightning for an extended period, my eyes find it refreshing to click into Classic to view records. I’m not a UX designer, but I feel like the fields could be a bit more called out, and the contrast between field labels and field values could be better clarified. For me, the text can start to blur together after a full day of use. If you want more contracts in the colors of the UI, here’s another idea to vote up: Lightning – Increase Contrast between Text and Background. 9. Sorry to Interrupt – MOSTLY FIXED! UPDATE: Salesforce has reported that this error has been significantly reduced over the last few releases. I’ve noticed that this is the case, and they continue to work on making the system less error prone! Thank you, Salesforce! 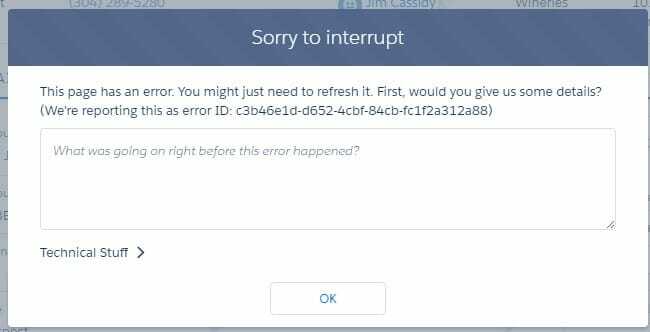 We’re all use to systems producing some error messaging, and I understand that Salesforce wants to collect more accurate user feedback for errors which is why this screen is so important. But, it is intrusive in that it’s a full-screen overlay and, in some cases, the error has presented itself multiple times for a single error. I end up clicking the “x” or “OK” button multiple times for the same error as a result. There’s got to be a less obtrusive way to ask for feedback. Lightning Experience has closed the feature gap (in Sales Cloud at least) quite a bit. But every so often, users need to navigate back to Salesforce Classic. For example, in my usage of Lightning, there are records in my production org that require manual sharing. But, manual sharing isn’t a supported feature in Lightning Experience right now. If I’m on a Salesforce record, and I realize that I need or want to switch back to Salesforce Classic, the current page I’m on in Lightning should be the page that loads when navigating back to Classic. The fact that switching between Lighting and Classic requires retracing navigational steps to access the record is a productivity killer. Here’s an idea on the IdeaExchange for this very thing: Switch between Lightning Experience and Salesforce Classic – stay on the same record. Have you found other frustrating or odd user experience issues in Lightning Experience? Share them with me by posting a comment below! These are great additions to the list Erik, thanks for sharing! As you mention, the list of improvements is long! These reasons (as well as a handful of others, I’m sure) are why I refuse to move to Lightning Experience. I will stick with Salesforce Classic for a while. I do find myself switching back and forth for various tasks, but I try to stick in LEX as much as possible. But, I do enjoy giving my eyes a rest with Classic after an extended period of time! Great to see you back Brent! Thanks for this post. We have yet to move to Lightning because we’re on the Service Cloud, and Salesforce is just starting to move Lightning to the Service Cloud. That being said, I keep hearing things that make me glad we’re on Salesforce Classic. This post just confirms my decision. It gets better with every release, so keep evaluating the release notes! 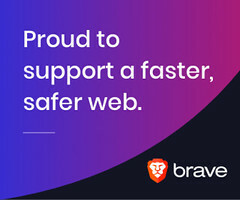 Hopefully, it will get to a place that you can leverage the awesome things about lightning (perhaps the topic for an upcoming blog post) which outweigh the negatives. I suppose it’s a resource allocation issue within the Salesforce teams. I can’t imagine that these pages will remain as they are, but it makes for a frustrating experience in the interim! Great post, Brent! You nailed it on all 10 items, but not being able to simply ‘Run Reports’ and the inability to open certain things in new browser tabs are the ones that have bugged me the most. I sometimes get a little nervous for the future of Lightning, but this kind of constructive feedback is what will help things improve. These are perhaps my two largest frustrations. Being unable to open in new tabs with the typical keystrokes or mouse clicks on al pages, and saving before running reports has a huge impact in productivity. Number 10 is soooo annoying! Especially because not all admin features are available in Lighting so you have to switch between the two. LEX definitely has challenges – but to every customer that flat out “refuses” to consider moving to LEX, Salesforce isn’t changing Classic anymore – and given the price of licenses, you are probably doing your organization a disservice by continuing to pay license fees on a product that gets no discernable updates for your user base. Completely agree, Chris. Lightning has its merits and really is a great new experience overall. I use it on a regular basis myself and think that it will continue to improve as it grows and matures. My not considering LEX, as you suggest, you’re missing out on a lot of new functionality, and soon, you’ll be behind the 8 ball. Brent thanks for the feedback keep it coming. Please make sure you are on the latest version of chrome. This should fix #4. Thanks for the comment, Mike! I did notice a significant improvement in load times when capturing the GIF for the blog post! Thanks for the comment Stefanie! I hope that this post doesn’t make it seem like I don’t like Lightning because I do. I use it in my own production org about 95% of the time. But, there are downsides as well. This is partly because of the age and maturity of the product (which will improve over time). Hopefully, this post is a way to call attention to some of these issues so we can get them fixed and close that 5% gap! Great post with some strong examples where improvements are needed within LEX. Also thanks for linking to my Idea, i’m seeing new upvotes since this post! Thanks for the comment Jorrit! Glad to be able to share your idea with the community! 100% agree with the post, I find it frustrating that from Setup in LEX I cannot return to home without having to open up a new tab or go back to the previous tab. I want to start moving our org to LEX, alas until some of the basic things are fixed as you have shown, we cannot advocate to users. You certainly have highlighted my key bug bears, the reports and not connecting contacts/opportunities/accounts. This should be basic functionality. Great article but were you trying to be ironic by having your links to the Success pages NOT open in a new tab? Ha! No, that was not intentional! I’ve updated the links. I prefer the always open in a new tab. I didn’t find one and haven’t created one yet, but I should! If you find one or create one before I do, feel free to post it back here and I’ll update the blog post! Shawna, this is AMAZING! Thank you for the quick and detailed reply! Thanks for putting this list together. I’m still reluctant to switch to Lightning. Today, September 2017, do you think they fixed the problems you raised? I love this article as an admin moving towards Lightning. I’ve added an Idea to the Idea’s community that I feel like addresses issue #5, at least when dealing with objects, my Idea doesn’t directly address if you were doing work on the “Home” tab, but same logic would be applicable here. SHAWNA WOLVERTON’s message says this was addressed in the Summer release, but I don’t see a way to open new setup sub tabs. Here is a link and hopefully they will figure something out. I’ve been trying for months to like LEX, but Lightning is horrible as a user. Just horrible…and people thought classic was bad! Salesforce management, Admins and Developers should be forced to do 3 weeks (80 calls/day+) on this thing prior to touching ANYTHING. The cutesy cartoon animals would disappear, that’s for sure. But as they say, the software is sold to Executives, not users. Horrible. Great Post. Definitely some UI/UX issues with Lightning. These are some great examples. I’ve voted up many of the ideas. Thanks for posting this. Someone may have already mentioned this, but for # 2, you can disable caching. Not recommended in production, but we typically disable caching in sandboxes so that we can do rapid testing when performing configuration changes. Thanks, Brent. You posted this blog in early 2017 and it appears there’s still an issue with #2. At least it appears that way. I am well experienced with Classic and have only worked in Lightning a handful of times. So I’ve been pulling out my hair trying to find a way to make the account page layout changes appear in the lightning page. I’m so discouraged with the time wasted on trying to figure it out. Do I need to continue to hit refresh or will the changes magically appear if left alone over a period of time? So, after near baldness, I finally figured out it had to do with permissions on the fields. Well, I’m glad you got it sorted out! All of those little nuances seem to make life crazy for us admins! These errors are not 100% solved, but they are very much less frequent than what they used to be.